I enjoy taking time on the weekends to prepare a good, hearty breakfast. Very often I let my imagination take control and start playing with ingredients. It had been sometime since I last made a real tasty and satisfying arepa and I was craving one! 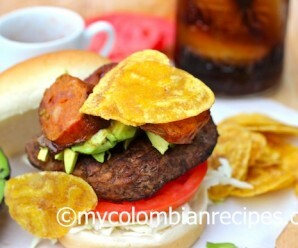 I wanted to make a meatless arepa though so my husband could enjoy it too. 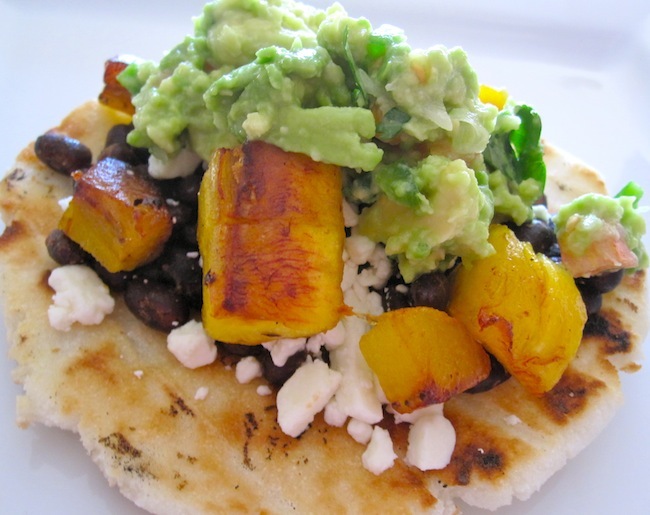 So, I decided to make my Colombian version of this classic arepa, adding some plantains and guacamole. 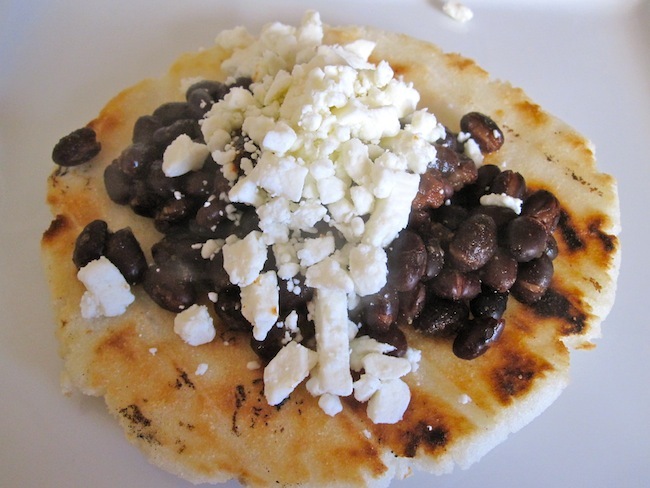 Arepa Dominó is a traditional Venezuelan Arepa stuffed with black beans and crumbled white fresh cheese. 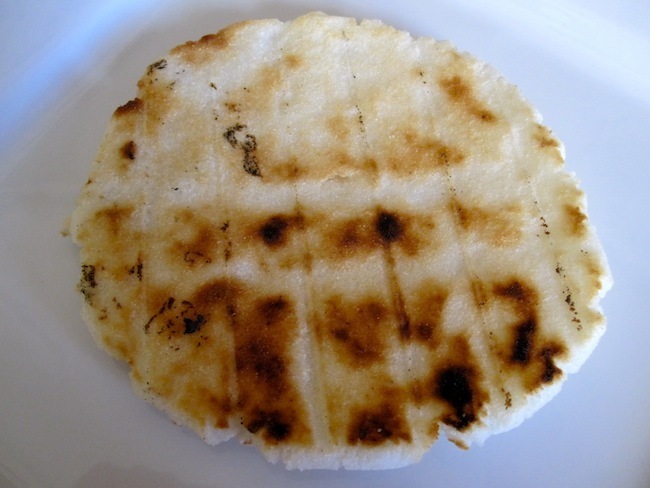 The difference between Venezuelan and Colombian arepas is that the Venezuela arepas are smaller, thicker, and stuffed with different ingredients, like a sandwich. 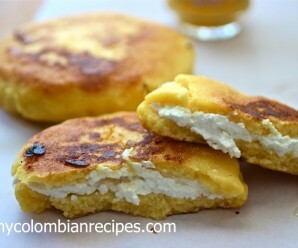 Colombian arepas on the other hand, are thinner and topped, not stuffed, with different ingredients, more like an open faced sandwich. 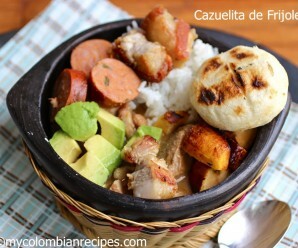 Here is the recipe for my version of Arepa Dominó. For the beans: Place the oil in a sauce pan. Add the onions, garlic, red bell pepper and cook for about 5 minutes. Add the cooked beans, salt, pepper and cumin. Stir and cook for about 5 minutes more. Set aside. 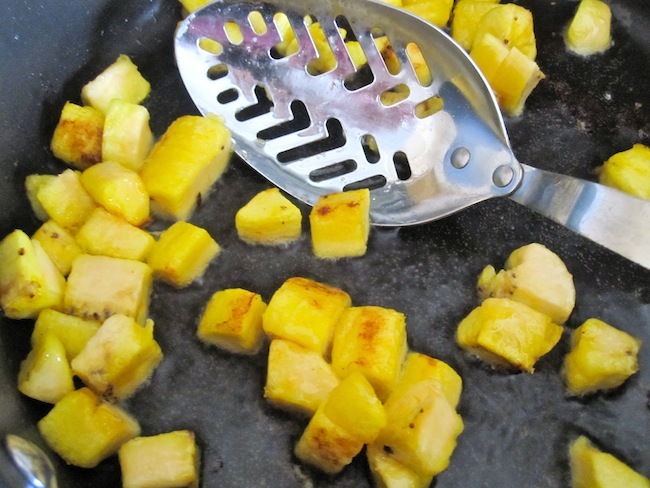 For the plantains: In a medium skillet, melt the butter and add the diced plantains. Brown the plantains for about 3 minutes and set aside. 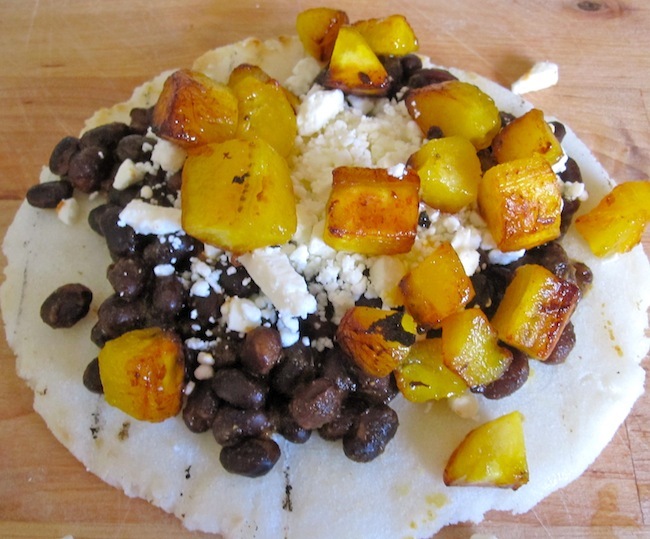 To assemble the arepa: Place an arepa on a serving plate, top with the beans, sprinkle the cheese and add the plantain and guacamole on top. I would far rather eat what my screen than what I’m eating right now! Looks delicious Erica, like the diced plantain and the combination of salty and sweet. This is a big breakfast for me! I would totaly savour this a s a great & tasty good-for-you lunch! I love arepas too! That’s what I call a HUGE breakfast Erica! More for lunch or dinner for me. 🙂 It looks delicious. 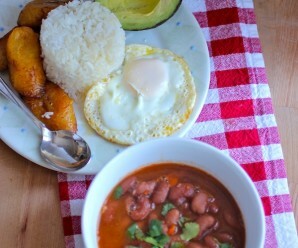 I love plantains, but have never cooked them at home. For some reason, I thought they needed to be cooked longer than in your dish. Or perhaps if you dice them small enough, they cook faster? 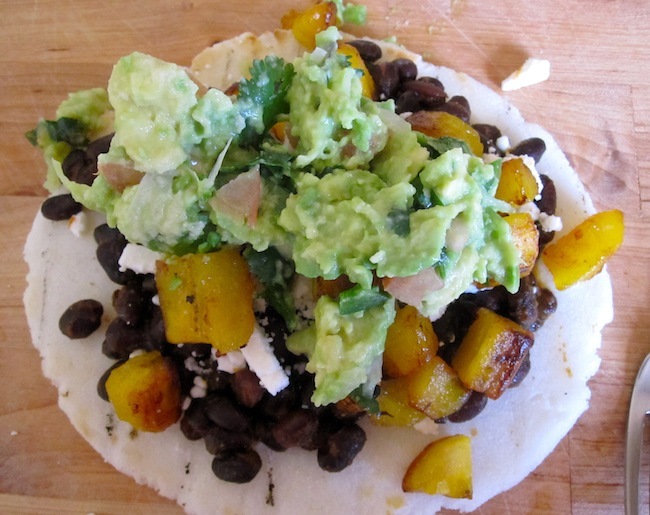 black beans and guacamole are all i need to complete a meal–these arepas are my favorite so far! This looks amazing! I love all the flavors you have going on here!